October 1, 2013 by Ken Ward Jr.
A shutdown of the US federal government, the first in nearly two decades, was looming close on Monday night as Congress careered toward a midnight deadline with little prospect of a deal to avert the crisis caused by a determined bloc of rightwingers in the House of Representatives. Under a shutdown, active staff at labor’s Mine Safety and Health Administration would be cut from 2,355 to 966. MSHA, though, would continue “to perform certain activities which, if not performed, would significantly compromise the safety of human life in the nation’s mines. But instead of performing legally mandated regular inspections at all of the nation’s underground and surface mines and mining facilities, MSHA inspectors would visit only certain operations. Main said that “if unforeseen emergencies, such as a mine disaster” occurred, additional employees would be identified to work. You can read more yourself in the shutdown contingency plans for MSHA, the federal Office of Surface Mining Reclamation and Enforcement and other agencies. I’ve seen a few Republicans and coal industry backers who seem pleased by all of this, citing the fact that the government shutdown will hit the U.S. Environmental Protection Agency especially hard, sending home 94 percent of the agency’s employees. It’s true that the shutdown will slow the work on important EPA regulatory efforts like the administration’s climate change action plan and its reductions in coal-fired power plant carbon pollution. But the Sierra Club is exaggerating when it says the shutdown means there will be “no cops on the beat against toxic pollution.” Remember that in most states, as in West Virginia, the majority of inspections and enforcement actions involving environmental protection are done by state agencies like the West Virginia Department of Environmental Protection. Of course, there’s no question that the shutdown means far less oversight of agencies like WVDEP by DEP and OSMRE — and there’s a strong argument to be made the less oversight isn’t exactly what we need. We’re going to be a on a skeleton crew, so there are only going to be about two people in regulatory. It’s going to slow them down tremendously. Everything is slowing down. And not for nothing, but a government shutdown also means that MSHA and the administration basically stop work on key life-saving mine safety and health rules like those to end black lung disease and require proximity devices in underground coal mines. it should be important to not that OSMRE’s press release specifically mentions the shut down of the applicant violator system. This is required to be consulted before issuing a surface mine permit under SMCRA. To me this would logically WVDEP can’t even approve any surface mining permits with the shut down. 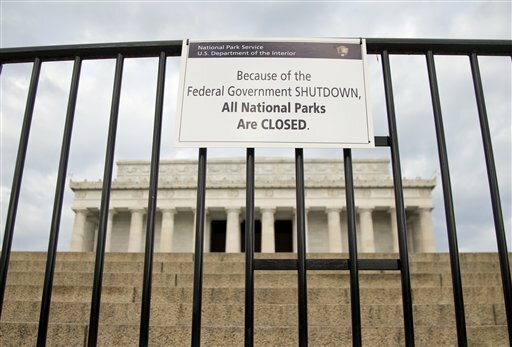 (Washington, D.C.) – In the absence of Congressional appropriations funding the Federal fiscal year that begins today, the Office of Surface Mining Reclamation and Enforcement (OSM) is taking steps to conduct an orderly shutdown of all but its most critical operations. OSM will cease all operations deemed non-essential to the bureau’s mission of balancing the Nation’s need for continued domestic coal production with protection of the environment. OSM’s contingency plan, fact sheet, and FAQs are available at http://www.doi.gov/shutdown. Violator System, Abandoned Mine Land Inventory, and technical software applications). • Oversight inspections of active coal mine sites – only in situations of imminent danger to health or safety. 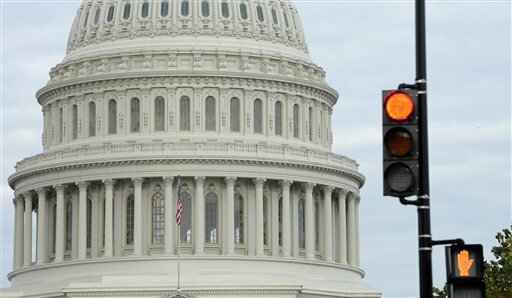 Eight OSM employees are excepted personnel who will continue to work during the shutdown: Bureau Director; Bureau Deputy Director; Budget Officer; Communications Officer; Assistant Director for Information Resources; and the three Regional Directors of the bureau’s Appalachian, Mid-Continent, and Western Regions.